Flowers from around the world. Royal Botanic Gardens, NSW, Australia. Southern China. A rare and endangered species restricted to the E'huanjzhang Nature Reserve at Yangchun City, south-western Guangdong Province. 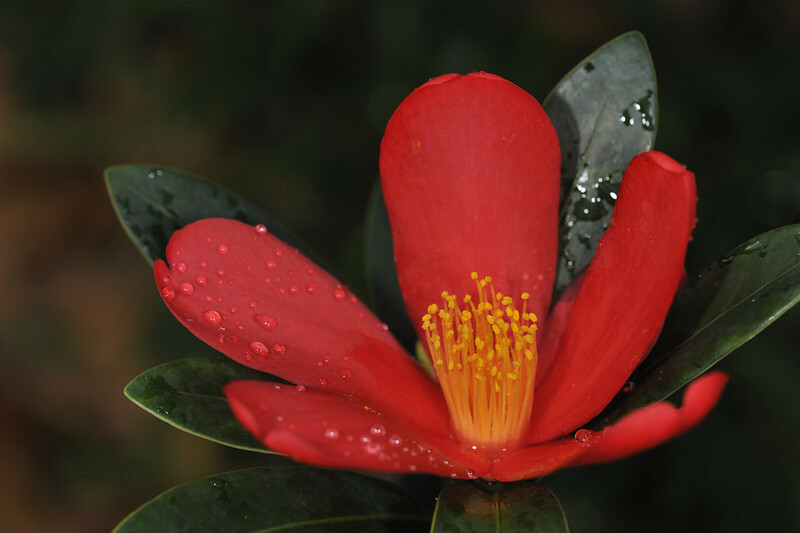 May be important in Camellia breeding due to its summer flowering habit.